In the upcoming adaptation of the classic ballet, Disney weaves magic onto the timeless story by expanding it into a universe, no expense spared to give the audience four spectacular worlds. 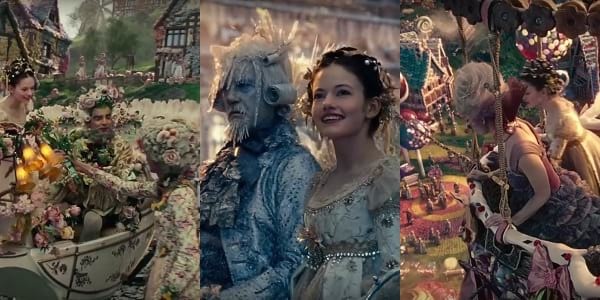 The holiday feature film 'The Nutcracker and the Four Realms' takes the beloved ballet of Tchaikovsky to the big screen and it's not quite going to be the same kind of story -- more magic, danger, and mystery reside in the mystical world, and a new adventure is faced by Clara, and it starts with a special key, leading her to a mysterious parallel world. 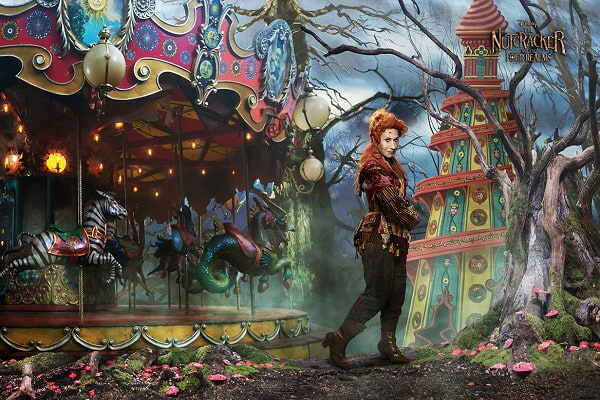 Step inside the beautiful world of Disney's 'The Nutcracker and the Four Realms' and have look at its four majestically eye-catching realms. Blossoming with vibrant blooms, this colorful realm is where plant life is celebrated and all sorts of flowers beyond imagination are in full bloom. Home to hardworking farmers and beekeepers, this kingdom is a beautiful reimagination and expansion of the classic ballet's 'Waltz of the Flowers,' with Disney bringing in an entire new world on the big screen! The set design is inspired by windmills of the Netherlands, often surrounded by long stretches of vibrant greens and gorgeous flower beds. The production even included real flowers, fruits, and vegetables in the set so the actors can be fully immersed in the experience! 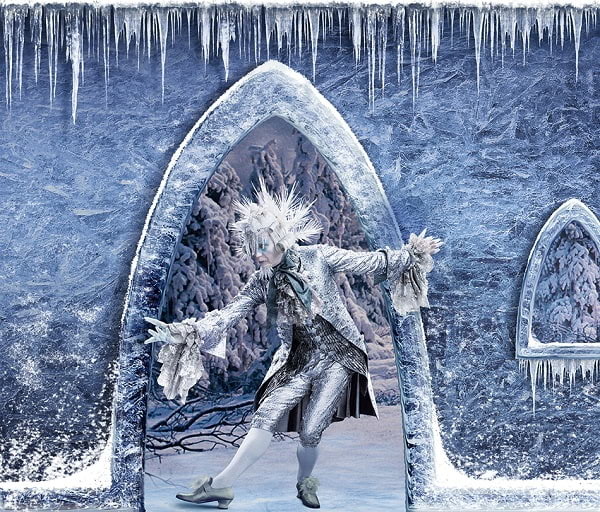 In the Nutcracker story we've all come to know, there are snowflakes that dance around one moonlit evening in the first act of the ballet. Disney reimagines the winter in bigger, magical ways by introducing us to the Land of Snowflakes. From snowflakes to snow, everything in sight shimmers and glitters like precious gems in this world, and even its inhabitants are all regally dressed for the occasion! Everything is elegantly draped in white, while layers of ice frolick in different corners; even up to the costumes and hair of everyone. The breathtaking set was inspired by Sweden's famous Icehotel, and beautiful German towns from the 16th century. Frolicking candies and the scent of happiness in the form of sugar treats -- this is what The Land of Sweets is all about. 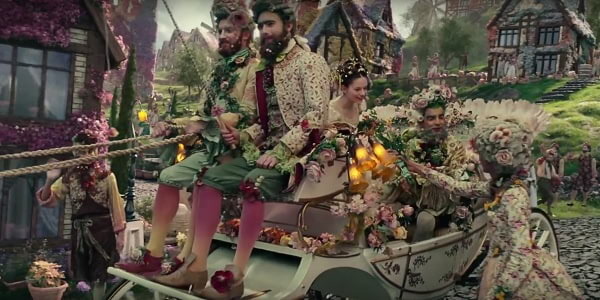 Imagine a Victorian-inspired candyland unlike any other, colours swirling and popping wherever you look! It is in this sugar-filled world that young Clara meets the Sugar Plum Fairy, the ruler of the Land of Sweets. This world comes to life with actual confections on set, candies and chocolates and sweets incorporated into the set design, roofs crafted with chocolate tiles and walls made out of nougat. It's every dessert lover's dream come true! 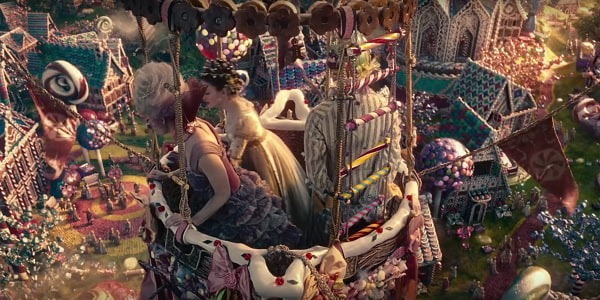 In the classical ballet, the iconic score of 'Dance of the Sugar Plum Fairy' always delights; in the Disney adaptation, the mythical pixie is played by Keira Knightley, who is almost unrecognizable with her cotton candy hair and glittery pink eyebrows. In this final dimension, we experience the legend has a dark side. Ruled by Mother Ginger (played by Helen Mirren), this fourth realm is ominous and mysterious, and was previously the Land of Amusements when evil was not present. It's creepy and dark, surrounded by oddly twisted trees and branches and more unusual things lurking about, making people who tread to this land uneasy. Another interesting detail Disney has introduced is Mother Ginger as the villain, because in the ballet, she is one of the good characters. We'll soon see that in the big screen there's a darker side to her, as she is the tyrant of the Fourth Realm trying to take over all the other realms. Can Clara defeat this powerful force of evil? Unlock the adventure of Disney's 'The Nutcracker and the Four Realms,' now showing in cinemas nationwide.